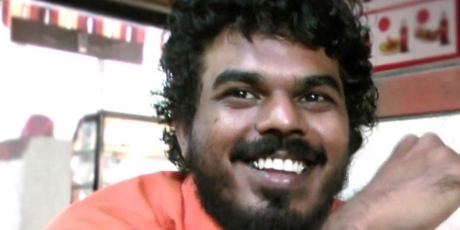 Avaaz - Maldives: Find brave missing journalist Ahmed Rilwan! Maldives: Find brave missing journalist Ahmed Rilwan! We call on you to ensure a thorough investigation into the disappearance of Minivan News journalist Ahmed Rilwan and bring to justice all those involved in his alleged abduction. We urge Maldivian authorities to protect free speech in the Maldives and address the threat of violent extremism. I celebrated my brother’s 29th birthday... but for the first time -- it was without him. I fear Rilwan has been abducted and the Maldives police is doing nothing to find him. That’s why I’m turning to the Avaaz community now for help to find my brother. Rilwan was a brave journalist who exposed the dangerous Islamic radicals operating in these paradise islands and who had issued many death threats to my brother. But many of these extremists have links with ruling politicians and that’s why the police are not moving on Rilwan’s case. The only thing that will make the Maldivian authorities act is international pressure, especially on the tourism industry that provides them billions of dollars. If they realise that the outside world knows rallies in support of terror group Islamic State are allowed on Male’s streets, it will scare tourists and they’ll be forced to act. This Sunday it will be 6 months since Rilwan disappeared. When we get to 50,000 signatures, Avaaz will take out ‘Missing person’ ads in major Maldivian newspapers and launch a massive media awareness campaign on the extremism and corruption in my beautiful islands. Please join my family’s search for Rilwan.